Nobel Prize in Medicine to three scientists who defeated deadly parasites. 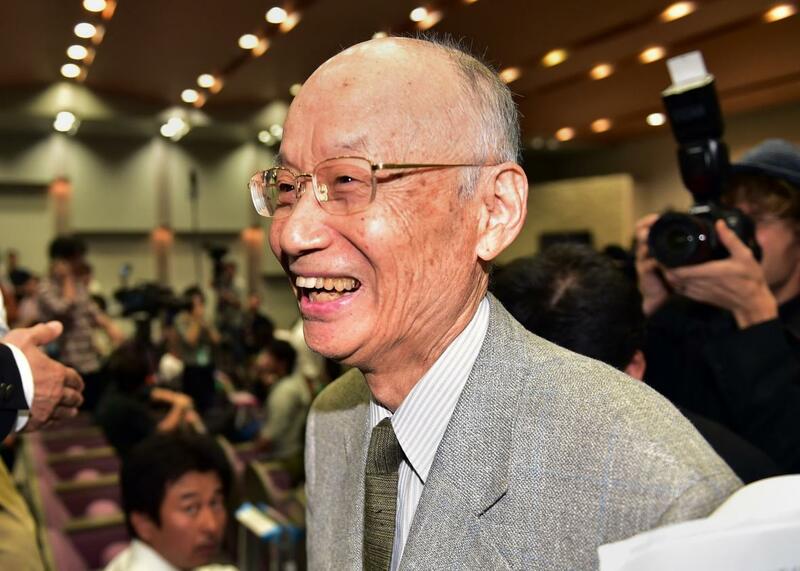 “I humbly accept it,” said Satoshi Omura of Japan upon learning he had been awarded the 2015 Nobel Prize for Medicine on Oct. 5, 2015. Other winners include Ireland-born William Campbell and YouYou Tu of China. Both discoveries fight diseases caused by parasites: River blindness is caused by roundworms and transmitted by blackflies; malaria is caused by the plasmodium parasite and transmitted by mosquitoes. “Parasitic diseases have long plagued humankind and constitute a major global health problem,” reads the Nobel’s announcement. The people most at risk of these parasites are some of the world’s most vulnerable, including people living in in sub-Saharan Africa, South Asia, and South and Central America. The roundworms, or nematodes, that cause river blindness live in human intestines and infect more than 18 million people worldwide. When the parasites die, they produce toxic substances around the eye, creating itching and lesions that can lead to irreversible blindness; the syndrome is known as onchocerciasis. They can also cause elephantitis, or swelling and deformities in the limbs. In some West African communities prior to 1970, 50 percent of men older than 40 had been blinded by the diseases, according to the World Health Organization. Later, Campbell tested these microbes and found a group that was particularly lethal to roundworms in farm animals and pets. The active component, named avermectin, turned out to be extremely effective at fighting the parasite that causes river blindness, and it has helped nearly eradicate the disease today. Humility is also a theme in the story behind the second half of the Nobel, which was awarded to Youyou Tu of China. Tu, now in her 80s,* is the long-unsung discoverer of the compound artemisinin, which remains the most effective treatment for malaria. Nobels are always lessons in history. Tu’s research took place in the 1960s and ’70s during China’s Cultural Revolution—a period when intellectuals were often banished, uprooted, and “re-educated,” and not usually thought of as an era of great scientific and medical discovery. Yet faced with devastating losses due to drug-resistant malaria, Chinese leader Mao Zedong set up a secret military project to find an effective cure. One of the projects’ recruits was Tu, a scientist who had studied Chinese and Western medicines. After seeing the effects of the disease firsthand in children from the countryside, Tu told New Scientist in a profile, she scoured ancient Chinese medical texts to find that a compound derived from sweet wormwood could treat fevers indicative of malaria. In the end, drinking an ancient wormwood concoction was more effective than any other drug then available from modern medicine. Her work has saved millions of lives worldwide. And yet, due to China’s isolation during the Cultural Revolution, Tu’s research wasn’t published until 1977. After it finally was, the paper’s authors remained anonymous for decades. Now Tu, who won the Lasker Award in 2011, joins an elite group of women who have won this Nobel. Just 11 women had received the Nobel in Physiology or Medicine, compared with 206 men; Tu will make 12. (Rosalind Franklin, a co-discoverer of DNA, might have joined them if she had lived long enough; the Nobel is only awarded to living scientists, making longevity an advantage). “The global impact of the discovery and the impact on mankind is immeasurable,” Hans Fossberg, a neuroscientist and member of the Nobel Assembly, said Monday at a press conference. Together, Omura, Campbell, and Tu saved millions of lives worldwide. *Correction, Oct. 5, 2015: This post originally misspelled the name of the country Colombia. It also misstated that Tu is now 80 years old; actually, she is in her 80s.